Have you ever wondered how Billy Graham surrendered his life to Jesus Christ? 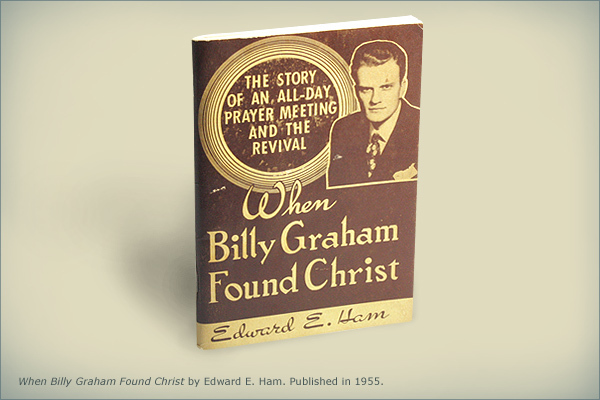 In this very interesting book, author Edward E. Ham records the events leading up to Billy Graham’s conversion and shares stories of people and events that shaped Billy’s spiritual life and how God prepared him to become an evangelist. 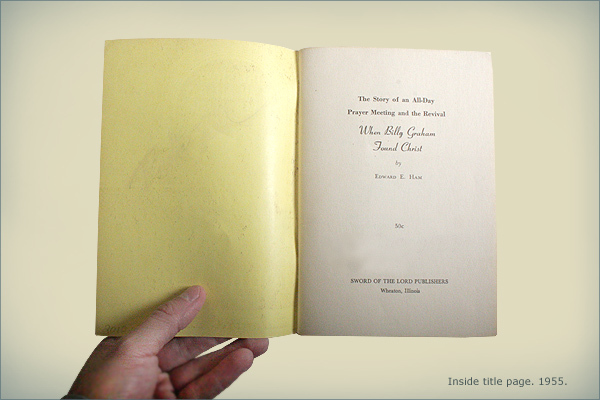 He relates how in November 1934, Billy and his friend Grady Wilson attended a revival service being conducted by Mordecai Ham, who was in Charlotte to hold a series of revival meetings. Near the end of the series of meetings and on the last stanza of the invitation hymn, Billy and Grady went forward and surrendered their lives to Christ. 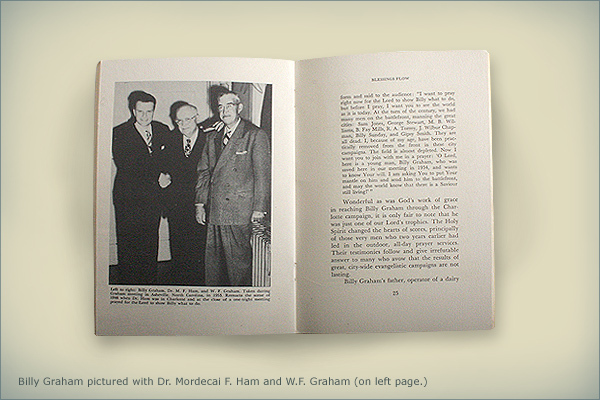 Below we present a few pages from the book, including one with a picture of Billy and his father Frank Graham with Mordecai Ham. It was Evangelist Mordecai Ham who accepted the invitation to hold the revival meetings after months of prayer had occurred by laymen across Charlotte, N.C. They had been asking God to bring revival to their city. Among those laymen was Billy’s father, Frank Graham.